After removing the headphone jack, Apple has its sights set on the home button of the iPhone. Here’s what this means for the Apple’s iPhone user base. Is killing the home button a smart decision? Owners of the iPhone X are already used to using an Apple smartphone without a home button. With the new frameless design, Apple ditched the circular home button, which was an integral part of all iPhone models up until the iPhone 7. The button had to make way for iPhone X’s ginormous display, which consequently made Touch ID obsolete. 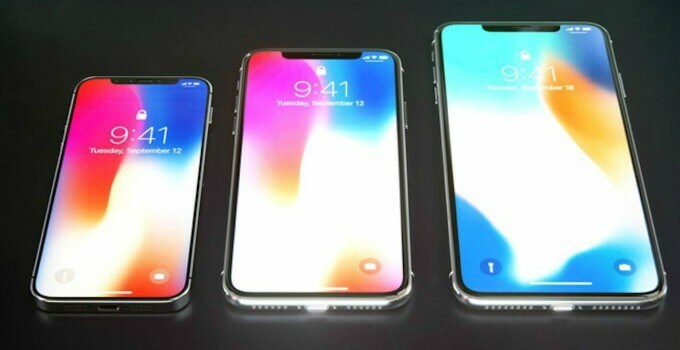 The arrival of iPhone XS, iPhone XS Max, and iPhone XC spells the end of one of the most iconic components of the iPhone tomorrow. Last year, fans of the button could still choose an iPhone 8 or 8 Plus. This year, however, all new devices are touted to adopt iPhone X’s minimalistic design. Removal of the home button has created quite a furor, especially on Twitter. Twitter users are concerned about a life without the home button. Apparently, the majority of users are not ready yet for an iPhone without Touch ID that relies solely on gestures. How will people adapt to not having a physical home button, no fingerprint scanner? To fill the entire front panel of the iPhone, Apple had to reinvent the way you use an iPhone. Consequently, Apple got rid of the home button to free up some screen real estate. Sure, the home button still works fine in 2018, but Apple prefers a larger screen and smaller form factor than sticking to an obsolete part. If you compare the pros and cons, killing off the home button is a great decision on Apple’s part. All functions that the home button had, are now replaced with gestures and user interface buttons without compromising the functionality and usability of the device. That makes the removal of the button a lot less abrupt than removing the headphone jack on the iPhone 7, which forced users to switch to wireless headphones or use an extra adapter. If you are skeptical about the disappearance of the home button, you will get used to it within a few days of usage. The gesture-based interaction in the iPhone X really blows its predecessors out of the water. Accessing the app switcher or unlocking the iPhone X feels smoother and natural as compared to older devices. Beginning with iOS 12, the iPad, too, now has iPhone X-style gestures for invoking the Control Center and app switcher. When Apple last year the iPhone 8 Plus unveiled with its large screen edges and casing, the device was already outdated in terms of design on the first day. Apple simply can not release such a smartphone this year now that every Android manufacturer is copying the iPhone X. Just as with the disappearance of the headphone jack, the iPhone is changing with the times and you should, too. Wait for next iPhone. Apple will probbably cut pice of screen (like upper bar on X) and give function as Home/Fingerprint. Ofc, i will be “brand new, never seen before, feature” as always. Hahaha. That sounds about right. I bought myself the iPhone 8 Plus especially because it still has the Home Button and therefore Touch ID, because it’s not the missing Home Button and that i will have to use Gestures that annoyes me, it’s the Touch ID. i DON’T want Face ID! I WANT Touch ID! So what am i going to do in Timeframe X? I do want to stay with Apple definitely, but i want to have Touch ID and NOT Face ID!!!! Yeah, I totally understand why some users still want to use Touch ID. Some people still prefer the good-old Home button over gestures. If you have an iPhone 8 plus, your device should be good for 4-5 years but it’s also the last Touch ID device by Apple and you will have to switch later. I can work with Gestures and without a Home Button but not without TouchID! And Apple could manage it to implement a Fingerprint Reader w/o a Home Button. They can either place the Fingerprint Reader under the Apple Logo on the back of the Phone or directly under the Display like Huawei did on their Porsche Design Mate RS, and that Fingerprint Reader is working great!! !